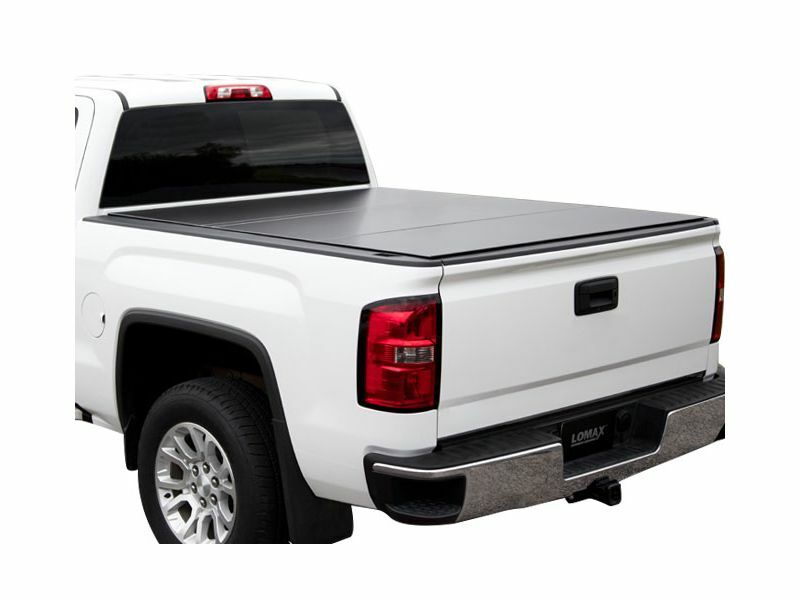 Sitting less than half an inch above the truck bed, the textured matte black finish of Lomax Hard Tri-Fold Cover blends with your truck's OEM bed caps for a sharp, clean appearance. The water-shedding design and water resistant, reinforced vinyl coated hinges route water away from the bed without gutters or drains. 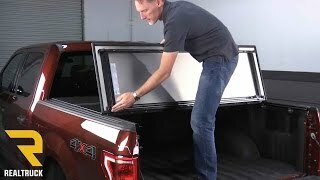 The hard folding tonneau overlaps the bed rails with a continuous seal along the entire length of the side rails, preventing elements from entering the truck bed. The Lomax can be easily opened by pulling the cord from either side, releasing the latches. To close, just use the built-in handle to unfold the panels. The tonneau automatically locks at ten points when closed, keeping your cargo protected and out of sight. Install rails with eight TIGHT BITE Clamps. Slide the hard tonneau cover forward to engage hooks, then lower into retainment brackets. Unfold each panel, truck bed cover locks automatically at ten points when closed. No drilling required.